One of the world’s most popular online education startups has just added more resources to its arsenal. Coursera has raised Rs. 400 crore in its Series D round of funding, the company has announced. This takes the total funding raised by the company to $210 million (Rs. 1300 crore). 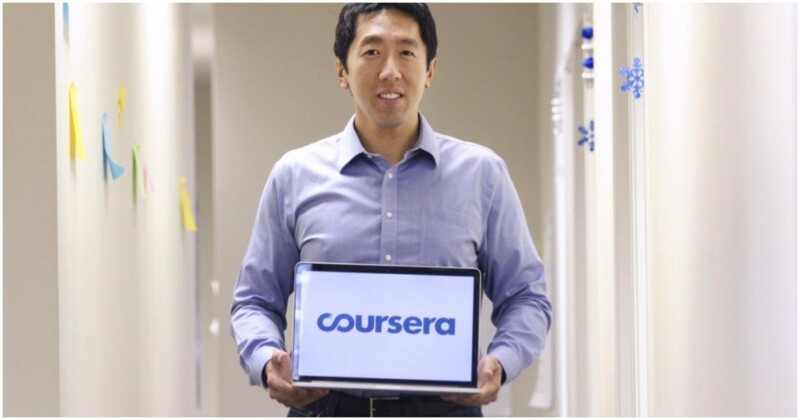 Coursera says it’ll use the newly acquired funds to grow its enterprise arm. Coursera had introduced its corporate plans in July last year. Called Coursera For Business, they let companies outsource their Learning and Development needs — companies can sign up with Coursera, and their employees get access to Coursera’s courses. Coursera offers as many as 1800 courses under this scheme, and companies can pay per employee — $100, for instance, lets one employee access one of Coursera’s courses, and for $600, each employee can have access to as many as 6 courses per year. This is a lucrative market, and Coursera has managed to sign up clients like BCG, Paypal and L’Oreal. Closer home, the company also has Axis Bank using its services. India is an important market for Coursera, being its second largest market after the US. As many as 2 lakh Indians are registered on the platform, which was founded in 2012 by Stanford Computer Science professors Andrew Ng and Daphne Koller. Its courses had been free to start with, but the company had begun offering fee-based course options in 2013 — these courses had online tests , and also provided certificates on completion. By 2017, Coursera had 2.4 crore worldwide users, and its revenues were estimated to be between Rs. 300 and Rs. 400 crore last year. The ed-tech space has been heating up in recent months, with several companies raising large amounts of funding. In India, Byju’s has raised nearly as much money as Coursera from prominent investors including the Chan Zuckerberg foundation, and has developed curriculum for school students which is accessed via tablets and smart phones. It’s now aggressively marketing its content, with ads splashed across TV and print. Other players in the sector are Toppr, Vedantu and TalentEdge.